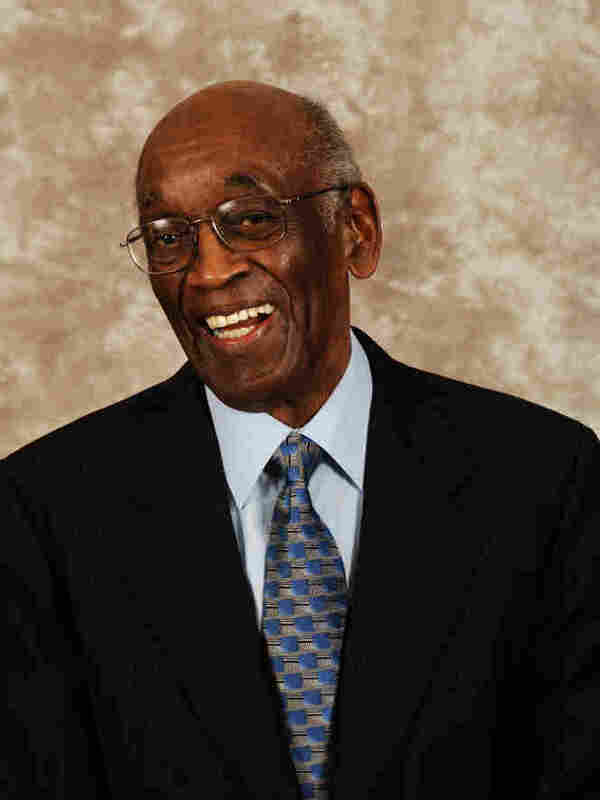 The Extraordinary Career Of A Man Who Managed Jazz Musicians : A Blog Supreme The late John Levy was many things — African American, a bass player, nearly 100 years old when he died last weekend. But it was his work behind the scenes, as a businessman, which defined his pioneering legacy in music. This post was originally published shortly after John Levy's death late last week. Click the audio link above to hear a remembrance of Levy by NPR's Sami Yenigun. This weekend, we learned that the jazz businessman John Levy died on Friday. His wife, Devra Hall Levy, announced the news on Saturday in a press release available on John Levy's website, Lushlife. He was nearly 100 years old. Levy was once a musician of some renown — he played bass with Billie Holiday, Stuff Smith, George Shearing and many others — but he's primarily remembered for his advocacy. He was named an NEA Jazz Master in 2006 for representing dozens of musicians as a manager, and also produced concerts and recordings. According to Devra Hall Levy's statement, John Levy's clients included "Cannonball Adderley, Betty Carter, Randy Crawford, Roberta Flack, Herbie Hancock, Shirley Horn, Freddie Hubbard, Ahmad Jamal, Abbey Lincoln, Ramsey Lewis, Herbie Mann, Les McCann, Wes Montgomery, George Shearing, Dakota Staton, Stanley Turrentine, Joe Williams, and Nancy Wilson, who remains a John Levy Enterprises client to this day." If we stop right there, that's already an incredible career. But it becomes extraordinary with a few other details. John Levy was a black man. That makes him the first, or at least one of the first major African-American personal managers in music. By extension, he was also dealing almost entirely with club owners and record producers who were white, representing clients with national, even international reputations. His first client was the white Englishman George Shearing, who he began to manage full-time in 1951 — an era where overt racism and segregation were still prevalent in the U.S. Not only was he able to navigate this situation; the work that he did resulted in new models of black success in the U.S. during the civil rights era. For example, in working with vocalist Nancy Wilson, he helped broker the deals which won her many television appearances and eventually her own NBC program, The Nancy Wilson Show, in the 1960s. And of course, his own career was pioneering in and of itself. John Levy was a musician. As someone who lived through the experiences of touring and recording, he was very perceptive about how musicians actually made a living. When he graduated from being George Shearing's bassist to his full-time manager, he insisted on creating a publishing company in Shearing's name so he could collect royalty payments from his compositions, a practice he followed with all his clients. At the time, many musicians weren't aware of these revenue streams, often signing away rights to their compositions to record labels or other entities. John Levy taught himself about things like this. He wasn't formally trained in music or music business — he never finished high school. But he was a very good observer. When Cannonball Adderley first came up from Florida with his own rhythm section, Levy realized that his initial reception by critics would determine the course of his future career. So Levy made sure to surround him (and his brother, trumpeter Nat Adderley) with a top-notch rhythm section of Junior Mance (piano), Sam Jones (bass) and Jimmy Cobb (drums). That band became the Cannonball Adderley quintet. John Levy didn't usually draw up contracts with his clients. At a point, he realized that the music business — the jazz sector in particular — relies heavily on interpersonal respect and trust. When a deal with the singer Dakota Staton went sour, he walked away from it rather than pursue expensive legal action. When he saw that his association with pianist Ramsey Lewis had outlived its usefulness, he simply left the business end and preserved the friendship. He understood how the music business blurs the lines between the formal and informal, the personal and professional. His knowledge of this dynamic, it would seem, helped him to be as successful as he was. A further recommendation: Much of the information referenced here can be found in the Smithsonian's oral history with Levy, and his interview with Marc Myers of JazzWax.